Clem, Ace, and JM are back to prove that, just like their sound, they’ve grown by leaps and bounds. Isn’t it ironic that O&L’s breakup shares a handful of similarities to when The Smiths, one of their biggest influences, called it quits? Morrissey, Johnny Marr, Mike Joyce, and Alex Rourke were the poster boys of the British independent music scene when they parted ways in 1987. On the other hand, Clem Castro, Mcoy Fundales, and Ace and JM del Mundo were collectively at the peak of their musical prowess as one of the more prominent local bands before disbanding in 2007. Orange & Lemons established themselves as pop-alternative rock figures in the OPM industry with chart smashes like “Hanggang Kailan” and “Heaven Knows (This Angel Has Flown),” and as NU107 2005 Artist of the Year, they went full-on mainstream with solid covers (“Blue Moon,” “Yakap Sa Dilim”) and that infamous reality show theme song (Kuya is forever grateful). Both four-piece groups had a short yet sweet five-year run—the Manchester quartet dominated the airwaves from 1982 until their disbandment, while the Bulacan ensemble were active from 1999 to 2000, before hitting their stride in 2003. Their untimely demises also stemmed from band infighting. And just like The Smiths, O&L’s music lived on in the hearts of fans, even when they thought a reunion seemed like a long shot. Amid fanfare, it didn’t take long before Orange & Lemons addressed the elephant in the room. The comments sections of news pieces about their comeback were filled with people asking: “Where’s Mcoy?” And not even the straightforward explanation on their official website FAQs section could sate the uneding queries. The original plan was to just re-record O&L’s underrated album, Love in the Land of Rubber Shoes and Dirty Ice Cream, as their way of giving back to the fans, who are clamoring for a re-release of the first record. At the same time it would function as a chance for them to fine-tune their raw output. Clem admits that back then, they “weren’t really that good as studio artists,” which is why they have this desire to do everything all over again and see the results. It’s quite remarkable, considering the three almost had no contact with one another while on hiatus. Ace and JM briefly stayed with Mcoy as Kenyo before venturing into record producing (the former owns the independent label Darkus Music) and project bands (Popseeds). As for Clem, he busied himself with The Camerawalls, taking on the pseudonym Dragonfly Collector, and founding Lilystars Records. As O&L 2.0, their maturity, both in their musicianship and outlook on life, was revealed. 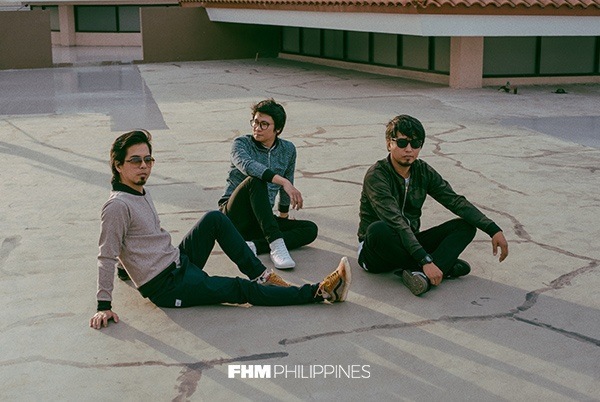 Orange & Lemons joins a wave of local acts that have churned out new material and have become active again in recent years (like Parokya ni Edgar, Sessionroad, Kamikazee). Clem cites music, brotherhood, and business—the last one particularly revelant for big-name bands—as reasons for this sudden OPM renaissance. The current music landscape, which is reinforced by the digital revolution, is kind to former indie artists like O&L, making it easier for them to re-establish their familiar brand. Their sound, bright guitar work, and dreamy lyrics are strikingly distinct to begin with, so Clem and Co. don’t have to worry about saturating the country’s soundscape. Not that they aren’t bothered by the volume of competition in the independent scene. But for Clem, Ace, and JM, all they care about is performing old Orange & Lemons tracks and writing new ones, regardless of whether the listeners will like it or not. If anything, they are relishing a less stressful and more relaxed setup, being in control of what they want to do, and when and where they will play. While O&L is still taking it one step at a time this time, the trio has also set definite and long-term goals that will hopefully be attainable in the future. This year alone, they’re thinking about releasing an Album before embarking on a nationwide tour and heading to the rest of Southeast Asia, Australia, and then North America. How sure are they that this won’t end up like their initial run? A few years ago, the idea of an Orange & Lemons reunion and seeing them live again sounded too farfetched. But, through time and experience, they were able to eventually work it out—although not without sacrifice—like adults. Which is also why, unlike The Smiths, Clem, Ace, and JM are back to prove that their music is sweeter the second time around.